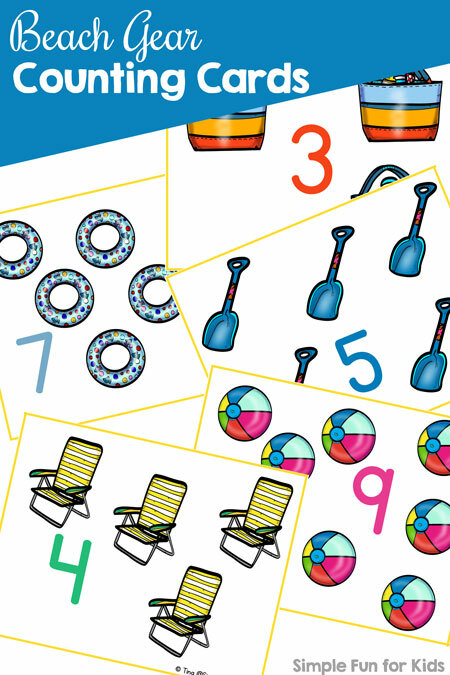 You can never have too many counting cards 😉 This version is great for the end of the school year or to use during the summer: Beach Gear Counting Cards. 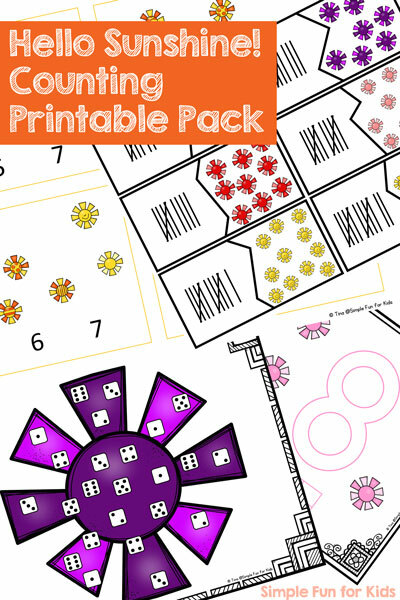 There are different ways to use this printable. I’ll mention a few below, but I’d love to hear how you use counting cards! 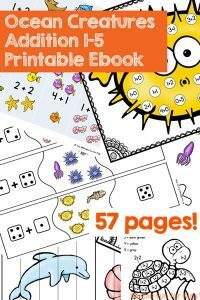 Printable file (download for free at the bottom of the post). The file includes three pages of four counting cards each. 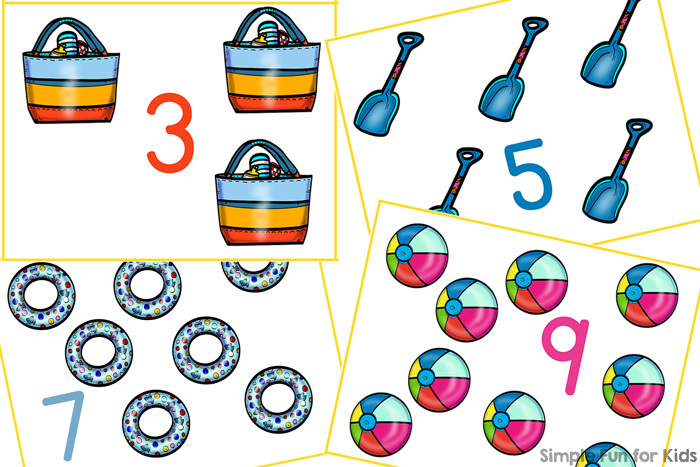 There’s one counting card for each number from 1 through 12 showing the numeral plus the matching number of one particular item you’d take to the beach: suntan lotion, beach hat, beach bag, beach chair, shovel, cooler, swim ring, float, beach ball, bucket, beach umbrella, and bathing suit. Either print the pages on heavy paper or use regular printer paper and laminate for durability. You can cut the cards apart at the solid lines or leave the pages intact if you prefer. 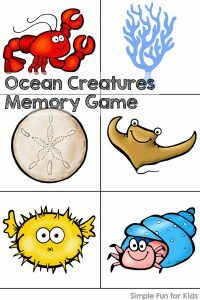 The counting cards work great as flash cards, you can hang them on the wall as a cheat sheet/reminder or use them the way N prefers: Put one manipulative on each image and count out loud. 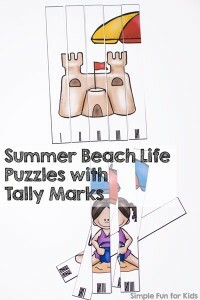 Download your Beach Gear Counting Cards! 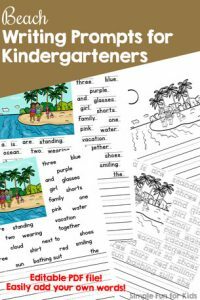 Beach Writing Prompts for Kindergarteners uses the same set. Are you looking for more beach and ocean activities? Check out these!